One of the most often asked question is “Where/How do you sell you domains?” I don’t have the luxury or quality of domains that get me daily offers through email. While I do get offers each day, ninety nine percentage of those are fishing emails. The old “are you interested in selling XXXX.com? If so, how much?” Mass produced, non serious emails. The majority of my domain sales come from putting them out there and letting people know they are for sale. Here are the places I’ve had success. Sedo.com This is where I sell half of my domains. I usually get 5 or 6 offers a month and come to a mutual price on half of them. It’s a very easy process and I get my money almost immediately. 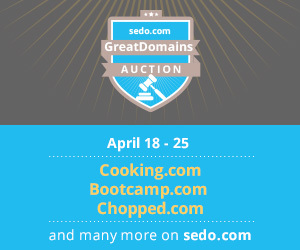 There are so many people that use Sedo to find names that if you have a domain of any quality you should get an offer on it at Sedo at some point. NameJet.com Namejet allows a very limited amount of people to list their names up for auction. I am privileged to be one of them. Every once in a while I list a few names with them and they generally do quite well. 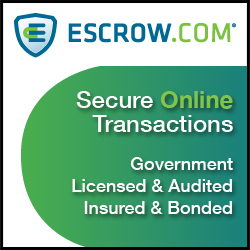 The auctions are heavily trafficked because they have the best daily available names on the Internet of any auction. Listing on My Site: I have sold a few names by listing them for sale on my site. I do a terrible job keeping it up to date but regardless, I seem to sell 4 or 5 a year this way. Monthly Auctions: I submit my names for the “big” auctions and have sold a few each year this way. Sedo, Snap, and the Conference auctions. It’s funny because they always seem to be so picky when I submit my names but when they get picked, they get thrown in with a bunch of junk. Maybe that’s telling me something about my domains. Daily Newsletters: Media Options and Toby’s Newletters get in the hands of a lot of good buyers. I’ve listed on both and sold a few with Rick and Tony last year but nothing this year. I didn’t price them to be bargains so wasn’t expecting a ton of offers. Boxcar.com I am about to start using Boxcar. I think the visibility has increased enough that it’s time to give it a try. Just because there are a lot of unreasonably high reserves and some bad names doesn’t mean I can’t use it to move names.I’ll let you know how it goes. DnForum.com Either I’ve gotten too big (which I doubt) or the buyers have gotten poorer but I used to sell a few names on this forum. Nothing in the last year or so. I’m sure I could but I’m not looking to give anything away at this point in time. 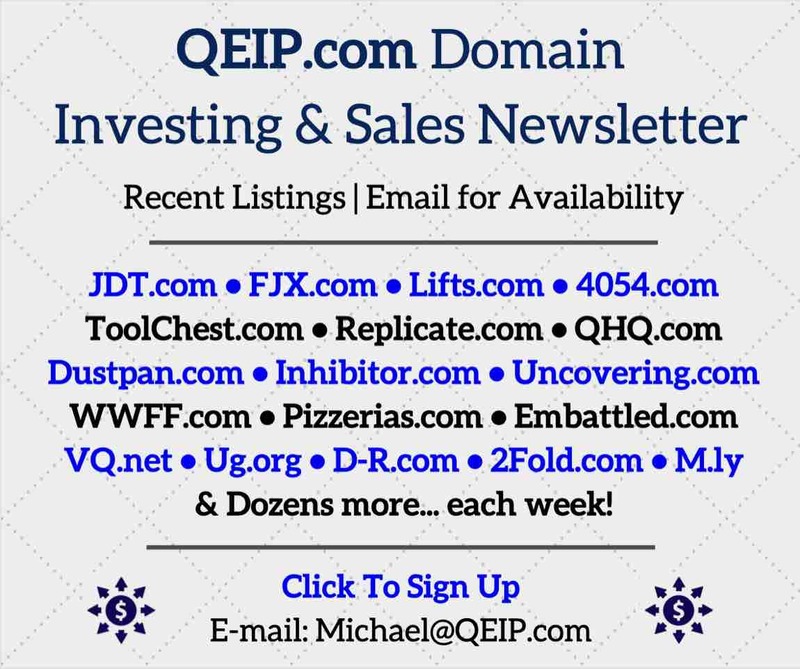 I used to buy a ton on the forum but again, either I’ve gotten wiser and buy better quality or the quality of domains has dropped. So there you go. That’s how little ole me sells name. I won’t lie, I don’t sell many. You’ll sell even less than me if you don’t have names people want. Three word generics just don’t sell that often. You have to know what domains sell and I’m getting pretty good at this as the years go by. I am not new at this. I’ve been flipping names for 10 years. I just paid more than I sold them for until the last 3. But things have gotten better. Thirty thousand profit a year for me is a great year. What I’ve found is that a little here and there adds up. Most of my names are $1500 to $3000 with one or two $5K a year. That’s good for me right now. I hope to keep adding zeros but one step at a time. Don’t let anyone tell you that selling small amounts is bad. Last time I checked, as long as you are making a profit, any profit, you’re doing better than 80% of the people in the industry this year. And if you develop like I do, you can make even more money by putting sites on your domains. And yes, if I spent as much time promoting my domains and developing my sites rather than blogging about it I would make a lot more money. But what fun would that be? 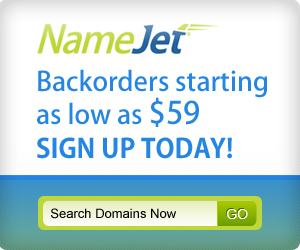 How much does NameJet charge you if a name is sold? @John co- What would be the point of bull-s people. Do you think he has a secret agenda. lol. You sound like a very positive person. 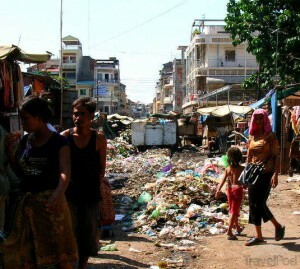 If you saw a couple grand in that pile in the picture I am sure you would pick it up. I would. I’ve written exactly 5 emails. So far not one response. I thought they were very well written but perhaps didn’t make it to the right person. Great post Shane. Always a pleasure reading your blog entries as most do not show the same candidness as you. So u net $30k selling names the past few years? What is your average Buying cost per name? And, how much do u net from monetizing all your websites including this blog? Thanks. My average cost overall is most likely $150 or so. Over the last few years my average cost for recent additions is $400 due to the higher quality name I’ve been purchasing. I am hoping the average sale increases as well. As for the blog and sites. Blogs approx average $1K a month and climbing. Sites $500 to $1000 a month with low end being winter and high summer. I think I can double site income easily if I focus more. I have the pictures and data, just need to put them up. Hi Shane, tnx for your blog. Just bought http://www.thehairsalon.com, any ideas for developing it? I have a pretty good accountant (my wife). It always helps to have a new business that loses money to help offset profits. I also am good at keeping track of expenses. As a matter of fact I just wrote off my time to answer this question. Great post, it’s very useful to readers to disclose real earnings and profits in domaining. It’s not easy to do even +30k / year profit, author is 10 years in this industry, so that’s a long way to newbies. Thanks for the vote of confidence and the figures you disclosed. It was more helpful than you might realize. I looked up RichUncle.com a while back…it was registered by some guy in a rich part of town and he had it since 2000’s…and it is not due to expire until 2020….So I don’t think I’ll be able to get my real identity back anytime soon. But in America anything is possible. I still believe in her with all of my heart. Thanks again. 5 is way to less Shane 🙂 I’m in “sales” (not domains) since years and there were always one major rule – if you want more luck, simply show up more often. Not sure yet how it works with domain direct sales, tho it shouldn’t be much different – out of 100 proposals you should receive 25% responses which will lead you up to 5 closed deals. 5 deals might not be nothing spectacular… but these are end users, so the chances are those 5 sales will do your yearly income alone. And thank you for sharing this. I’ve waited for such info. Thanks for sharing Shane, I enjoyed reading this post. I have close to the same number of domains you do and pretty much list or try to list at the same sites, except for NameJet which I might try. I’ve been domaining for almost a dozen years and enjoy it more as a hobby – yet always hopeful for a nice sale along the way! I don’t get near as many offers as you do however I price my domains pretty high for various reasons. I enjoy watching the ‘domain experts’ but have found that domaining is really quite a unique individual kind of business and I guess I like it for that reason. I am not in it to sell my domains to other investors so their evaluation or valuation of my portfolio carries little weight with me… however you never stop learning with domain investing.. good article, thanks again. Rather than BS I found your honesty refreshing. Good post. Don’t pay attention to the outliers, Shane — most of us found this very useful. @gary et al, if you’d like another write-off, I’d be interested to know how folks have set up their domain companies — sole proprietorships, LLCs, partnerships, etc. There seems to be some areas of risk in domaining. What have you found to be the most effective way to structure to limit taxes and liabilities? 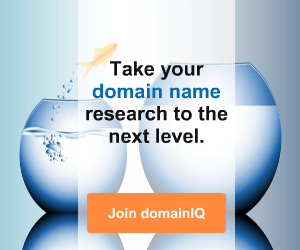 Contact past buyers who purchased domains featured on DNJournal. The goal is to contact the right people. I send out hundreds of sales pitches. Pricing a domain right makes a big difference. You can lose a sale due to price. People get offended. Consider asking an interested buyer to make you an offer. Thanks for the article. ugh. spamming dnjournal buyers. Jason please send me your email address so I can forward you all the lovely names that people send through that channel. Spamorama. That’s a great way to discourage people about reporting sales. Shane please tell us exactly what you do to make 500-1000 per month on your websites? What kind are they? Care to share the names of some of them so we can look at them?